Second Annual LYS Love Contest Is Here! When you drop a stitch or need to find the perfect skein of hand-dyed yarn for your next project, is your local yarn shop (LYS) the first place you visit? Yarn shops aren't just a place to buy yarn or Knitter's Pride needles and hooks - they're the nucleus of the fiber arts community where you can learn, share and make new friends. We would love to hear about what makes your LYS so special! 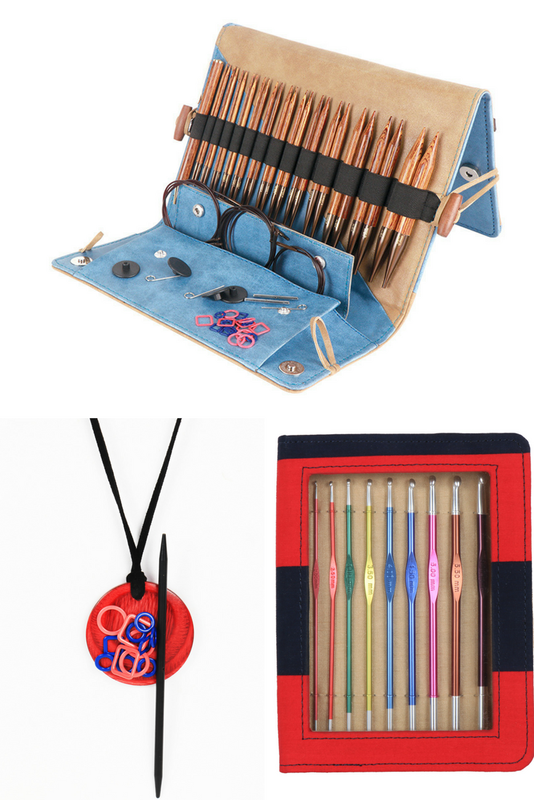 Tell us about your favorite yarn shop for your chance to win your choice of prizes from our NEW collection: a Ginger Deluxe Interchangeable Set, a Zing Crochet Set, or a Magnetic Knitters' Necklace Kit! We'll randomly select three lucky winners to announce on Friday, September 28. Good luck! Have you ever wanted to knit an amazing colorwork yoked sweater? Or mittens with fun geometric patterns? Or some of those fun multi-colored shawl projects? Even if you’re a new knitter you can make ALL of those things - it just takes time and practice. Today’s post will discuss the different kinds of colorwork knitting you can do and some tips and tricks to help you get started or improve your technique. Intarsia is a technique used to create anything from simple shapes to intricate pictures in your knitting. With Intarsia, different sections of each row are worked in different colors. Intarsia is different than stranded knitting in that the knitter doesn’t carry the unused yarn behind the work, but instead drops the old color, brings the yarn for the new color up under the yarn of the old color, and then continues on knitting in the new color until the next color change or the end of the row. This method twists the yarns to close any gaps between the old and new colors. There are a few different methods for twisting your yarns, depending on if the gaps are vertical or diagonal. 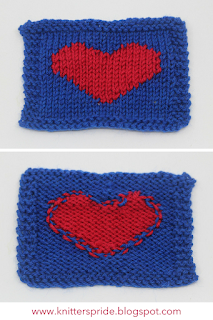 A good photo tutorial for these methods can be found at Vogue Knitting. One of the most difficult things to conque in knitting intarsia is the issue of yarn management; that is, how to keep your yarns tangle free as you twist them while knitting. There is a great article on Mason Dixon knitting - Intarsia: 7 Decent Tips that you might find helpful as you tackle your first intarsia project. Stranded knitting is created when you carry two or more yarns with you as you work to create patterns in your knitting. The unused colors are simply carried behind your work when not in use, creating floating strands which can be seen on the wrong side of the work. Stranded knitting is how those gorgeous yoked sweaters and colorwork mittens are created. Stranded knitting tends to produce a very warm fabric, because each stitch is essentially two layers of yarn thick. Fair Isle knitting is a specific kind of stranded knitting where only 2 colors are worked per row, and the yarn is only carried behind the work for a limited number of stitches. Fair Isle knitting originated in the Shetland Islands. Today most knitters use the terms Fair Isle and Stranded Knitting interchangeably, although they are distinctly different. Kelbourne Woolens features a great article describing the differences between the two. One of the most difficult things to conquer in stranded knitting is to keep your floats (or strands) at the right tension. Too loose and your stitches look messy. Too tight and your knitting puckers. They key to this is practice, but we have also found learning to knit with a two-handed Fair Isle technique (that is, knitting with one yarn held in each hand) makes this easier. Check out this video from Very Pink Knits to learn the technique. Mosaic knitting is probably the easiest of the colorwork techniques to learn. 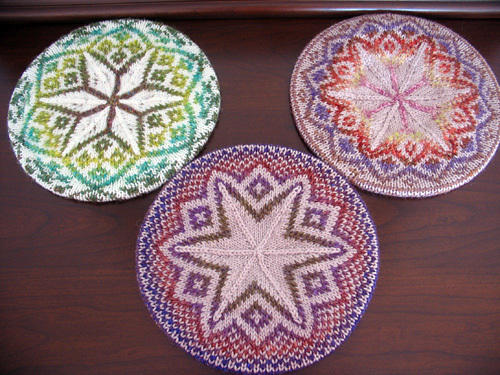 In mosaic knitting, you work with two colors to create intricate designs - but you only knit with one color at a time! This technique is a lot like knitting stripes, only you'll just slip certain stitches on a row as you work. For example, if you are knitting with a light and dark color, when you work a row or round in the light color, you will be slipping the dark stitches. And when you work a row or round in the dark color, you will be slipping the light stitches. Easy, right? Because you are slipping the stitches, there is a limit to how many slipped stitches can be worked consecutively (usually only two or three maximum). This means that mosaic knitting often ends up looking very geometric, like mosaic tiles. 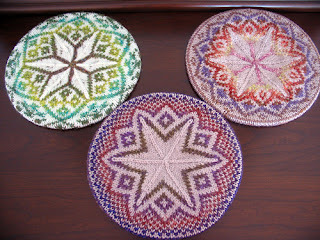 If you’re looking for more information about this technique, check out this article about mosaic knitting from Knitty. We hope that this post has helped define the different types of colorwork knitting and give you a few tips and resources on how to conquer each technique. 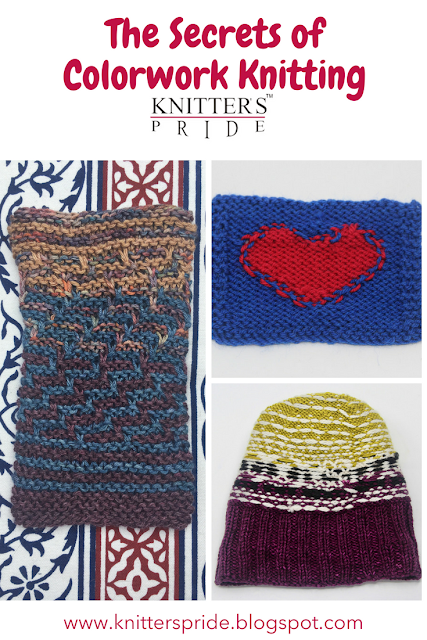 We can’t wait to see what colorwork projects you create. 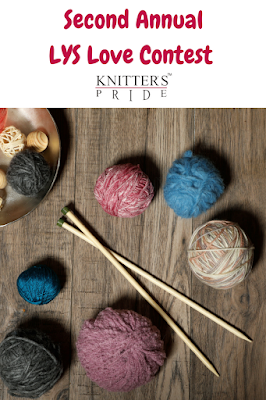 Please share them with us on Instagram - be sure to use #knitterspride in your posts!